Productivity Apps can bring so much effortlessness in a person’s day to day routine. Everyday decision-making that saps away on a person’s mental energy and leaves his batteries drained can now be handed over to the extremely smart and sophisticated apps that come in the market. Plus, multitasking by itself can be such a battery-drainer for people. 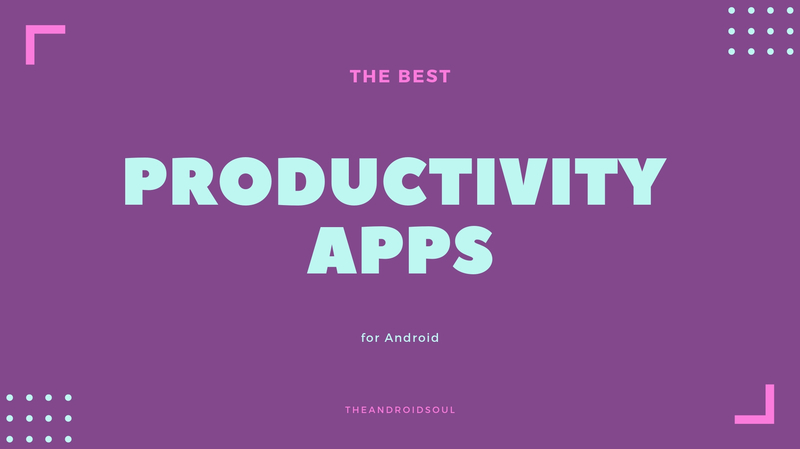 Productivity apps take some of the decision-making out of our hands and let our lives run like a smooth-oiled machine. It is the closest thing to having a personal secretary. Automate automates various tasks on the user’s Android gadget. 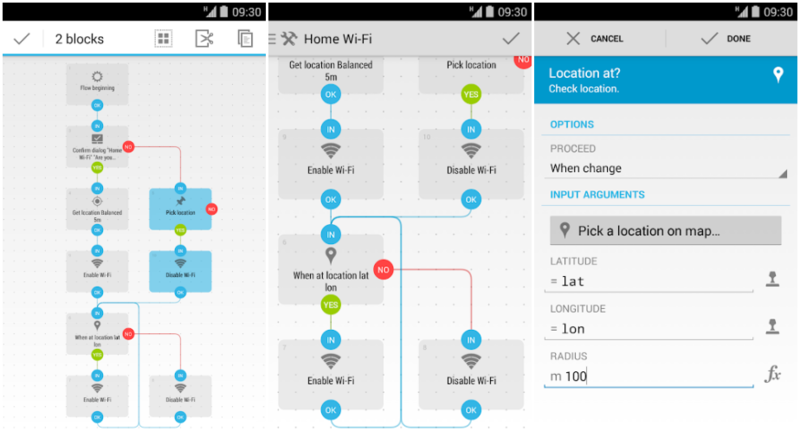 It lets the user create and customize his own automation using flowcharts. For instance, the user can instruct the app to automatically change settings like audio volume, Bluetooth, GPS, Wi-Fi, NFC, and perform actions like sending SMS or e-mail, copy files to FTP or Google Drive, play music or take photos based on location, time of day, foreground app, battery level or any other event trigger. Automate also supports plug-ins made for Tasker and Locale. 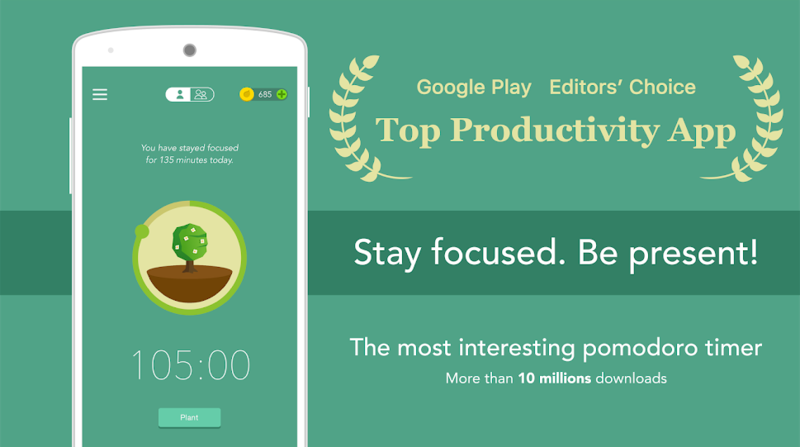 Forest helps a user stay focused to the task at hand using a gamified timer. Based on the Pomodoro technique, Forest presents a unique way to help a user beat his phone addiction, overcome frequent and incessant distractions, stay focused, reduce procrastination and make the user more productive. When the timer starts, the user plants a seed in the forest of Forest. As time goes by, this seed will gradually grow into a tree. However, if the user fails to resist the temptation of using his phone and leave the app, the tree will wither. The sense of achievement and responsibility encourages the user to stay away from his phone and make better use of his time. 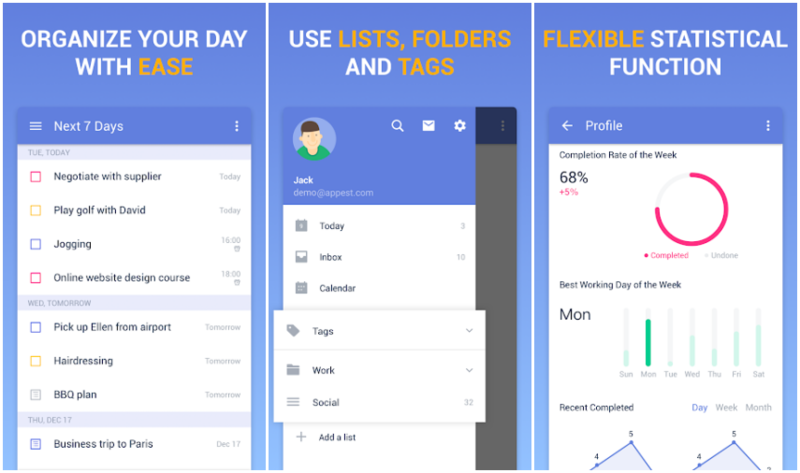 TickTick is a simple and effective to-do list and task manager app that helps one make a schedule, manage time, stay ahead of deadlines and organize life at work, home and everywhere else. Using its intuitive design and personalized features, a user can add tasks and reminders in mere seconds. For tasks that need to be done regularly, all one needs to do is choose a repeating period (daily, weekly, weekdays, or monthly). Features also include sharing lists and assigning goals to collaborate with colleagues, friends, or family. Evernote is a brilliant productivity app that helps a user have access to his lists and notes as and when he needs it. 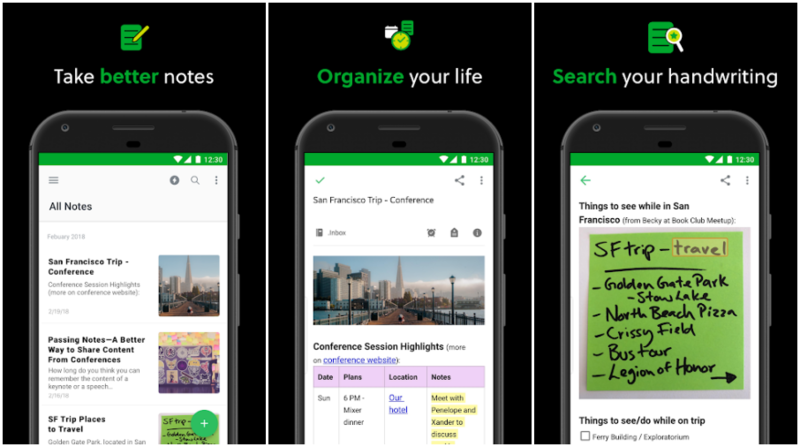 With Evernote, one can input typed notes and scan handwritten notes, add to-do’s, photos, images, web pages, audio; create notebooks, organizers, planners; organize notes and share them. Evernote syncs all notes and notebooks across the user’s devices so his information is always well within reach. Healthifyme is India’s answer to MyFitnessPal. It is a calorie counter, personalised diet chart guide (with a comprehensive list of common Indian meals to choose from, aside form the more common health recipes), and a nutrition calculator rolled in one. The personal food tracker and calorie counter motivates the user to eat healthy food, follow his diet plan, try healthy recipes, and the fitness tracker encourages him to follow his workout chart, go to the gym or do yoga. For absolutely no cost, Healthifyme puts its users on track to become their healthiest, most productive selves. Trello helps its users stay on top of all his projects, at work and at home. With Trello a user can create boards to organize anything he is working on, use them solo or invite coworkers, friends and family to collaborate, customize workflows for different projects, add checklists of “To-Dos” on cards, assign tasks to himself and coworkers and attach files from Google Drive and Dropbox. Google Keep: 7 features you should be using already! 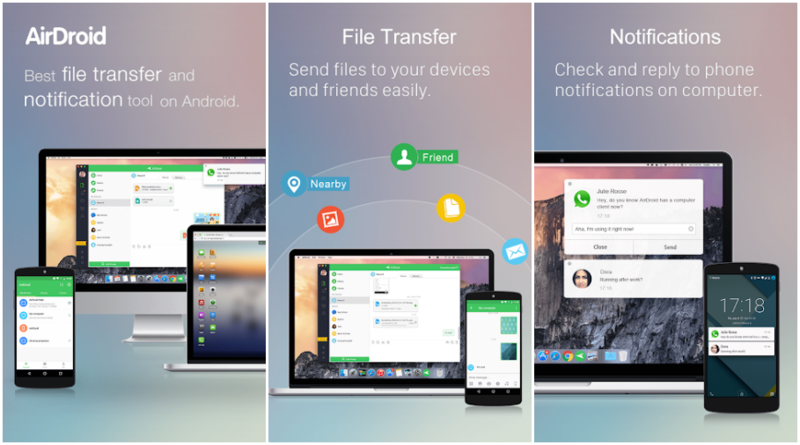 AirDroid helps a user effortlessly access and effectively work on his Android phone or tablet from Windows, Mac or the web wirelessly. Calls, messages and (approved) app notifications are mirrored to any large computer screen. Things are transferred faster than usual (sans a cable). The user can not only control his phone from a computer, but also use any apps installed on it, such as WhatsApp, WeChat, and Line– with no rooting required. 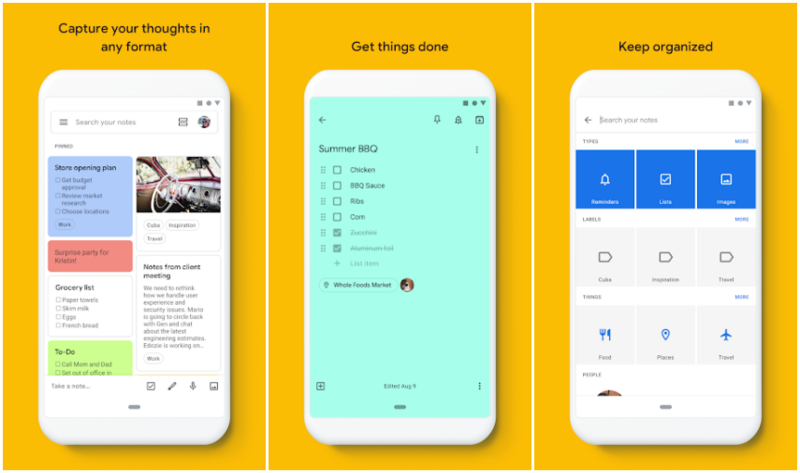 Google Keep is a minimalistic yet powerful note-making and sharing app. With Keep, a user can add notes, lists and photos, record a voice memo, share ideas with friends and family, color and add labels to code notes to easily organize notes. Its user interface is elegant and chic. TripIt is an efficient trip-planning assistant loaded with features. It helps you manage a master itinerary that keeps tabs on every step of your journey- from flight bookings to hotel reservations. Additionally, as the user is planning his trip, TripIt steps up to help him find a better seat, remind you when to check in, when to leave for the airport etc. Expensify actually reduces a lot of effort put n manually logging in the financial transactions. Like you can just take a photo of some receipt and you’re done. That obviously will save you time that can be used for work to increase daily productivity. As most people keep tabs on their finances via some written tangible method, the app is very helpful. Expensify is one of the world’s most favored financial tracking apps. From a screenshot of a receipt, Expensify can extract useful information and input it automatically into its database to update and maintain the user’s expenditure logs. Expensify also streamlines business travel and tax compliance by generating concise expense reports. Since all apps belong to different categories, we recommend you try them all. What do you think of these apps? How many have you tried, and which ones did you keep? Do tell us in the comment section below.